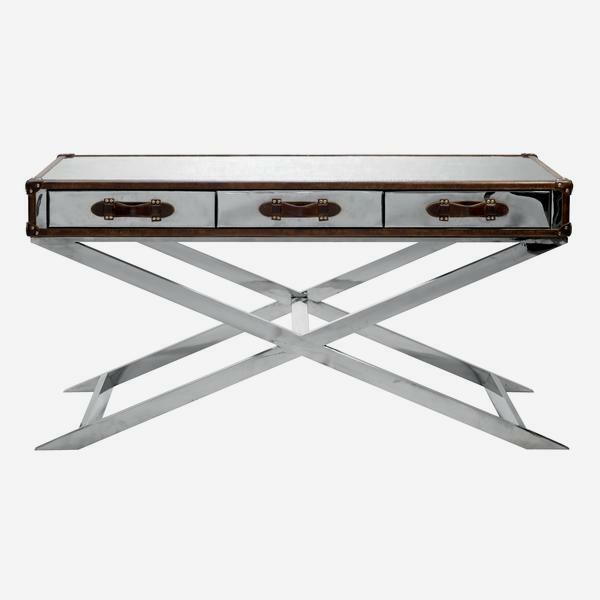 A metallic top console table with brown leather trim and three built in sliding drawers on a chrome frame. 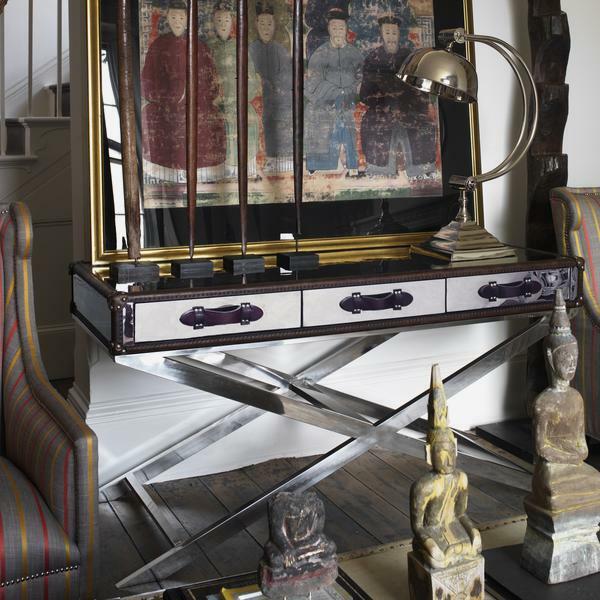 The trunk style recalls this item's namesake, Vasco da Gama, who was the first European to reach India by sea, travelling for two years between 1497-1499. It has an original metallic and leather look that works either as a modern piece in a classical, neutral scheme or paired with bold artwork to dance in the reflection.